Come enjoy a heart racing, adrenalyn pumping hunt of your lifetime. 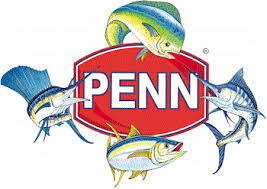 We provide everything you will need to catch the gators you have been waiting for. 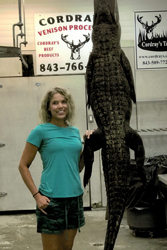 South Carolina Alligator hunts are by drawing only. Please apply at the South Carolina DNR website www.dnr.sc.gov. Residents and non-residents may apply. 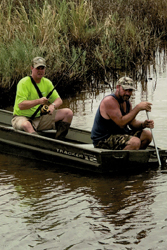 SCDNR only issues 1200 alligator permits a year, so please apply as soon aspossible. 2018 Alligator season is the second Saturday in September through the second Saturday in October. Dates are filling up fast so shoot us an email or give us a call for details on 8how to pre-book your 2018 Gator Hunt! 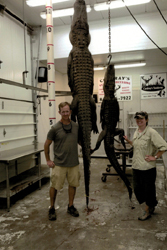 Introducing ***guided alligator hunts and swamp tours services. Check out our about us page for more details. This is a seperate drawing and these gators are huge! These areas have only been hunted a select amount of times! 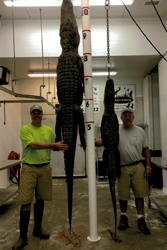 Double your chances of getting the gator tag you have been waiting for! 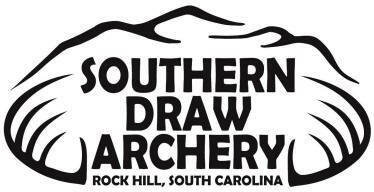 Apply for both the general hunt drawing and the WMA hunt drawing.